Effective 6:00pm Sunday 31st March 2019, the 24 Hour Domestic & Sexual Violence Helpline will no longer be managed by Women’s Aid Federation NI. 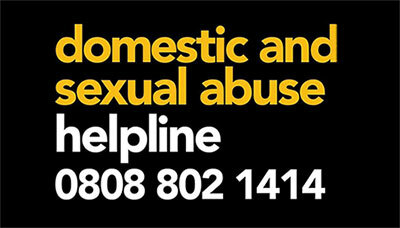 The Helpline will now be managed by NEXUS and the number will remain the same – 0808 802 1414. It will now be called the ‘Domestic and Sexual Abuse Helpline’. Though the Helpline has changed, the vital work of Women’s Aid supporting women and children affected by domestic violence continues. Anyone experiencing domestic or sexual violence or abuse in Northern Ireland can call the Domestic and Sexual Abuse Helpline on 0808 802 1414 or avail of web chat through https://dsahelpline.org/. For further information about Women’s Aid go to www.womensaidni.org.